The draw leaves league leaders Liverpool just three points clear of Manchester City. 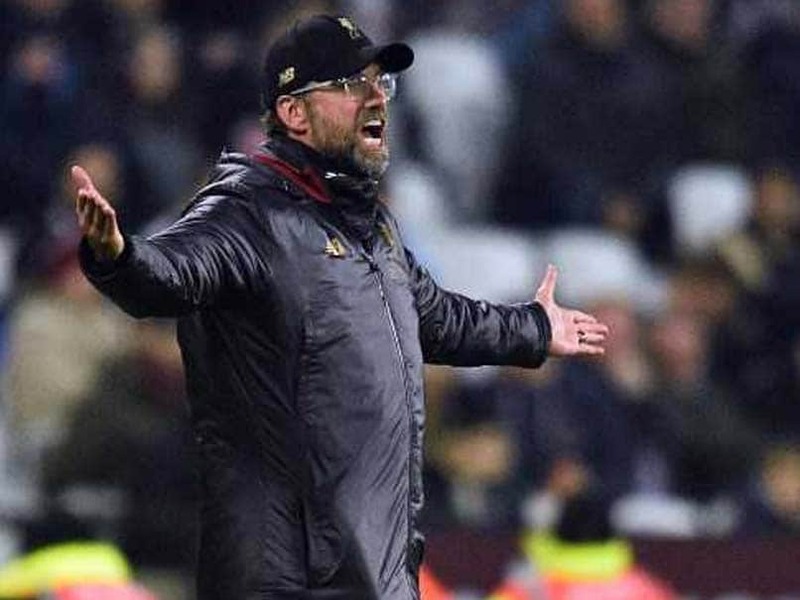 Jurgen Klopp pinpointed a mounting injury list as the explanation for Liverpool's sub-par performance in a 1-1 draw at West Ham on Monday that leaves the league leaders just three points clear of Manchester City. Less than a week after missing the opportunity to go seven points clear of City with a 1-1 draw against Leicester, Liverpool again let a lead slip as Michail Antonio quickly cancelled out Sadio Mane's 22nd minute opener. Victory over Everton on Wednesday will now take City to the top of the table, while Tottenham are just five points off the top in third. It could have been even worse for Liverpool had Declan Rice and Mark Noble not failed to hit the target with huge chances to claim all three points for West Ham. 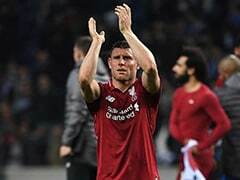 Klopp was without the injured Jordan Henderson, Georginio Wijnaldum and Trent Alexander-Arnold meaning James Milner started in an unfamiliar role at right-back, while the German was forced to name an experimental midfield three of Fabinho, Naby Keita and Adam Lallana. 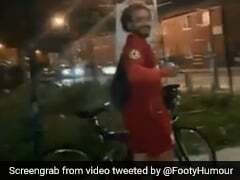 "Last night we trained and after we had to change three positions," said Klopp. "It's not about pressure, it's about enjoying the situation you are in," added Klopp. "We have 62 points, have lost one game in the whole season so far which is very positive. "I think from your faces already you (the media) feel sorry for us. We are fine. Tonight was just a tough game." Even without the injured Marko Arnautovic, Pellegrini got the response he wanted in West Ham's performance if not their end product and the Chilean was angered that Liverpool's opener was allowed to stand despite Milner clearly being offside when he crossed for Mane to score his 12th goal of the season. 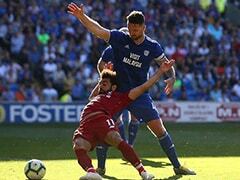 "They have two clear chances, one that is one-and-a-half metres offside where they score a goal, and one in the last minute with (Divock) Origi in front of the linesman again one metre offside. "Of course, you must be disappointed," said Pellegrini, who recalled a series of controversial calls that went in favour of Klopp's Borussia Dortmund when they beat Pellegrini's Malaga in the 2012/13 Champions League quarter-finals. "Klopp is used to win with offside goals. He beat me against Malaga with Borussia Dortmund with a goal seven metres offside, so he can't complain about nothing." 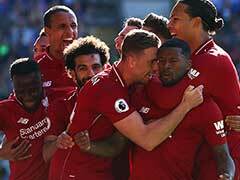 Liverpool's lead lasted just six minutes as the visitors switched off from a well-worked free-kick and Antonio drilled Felipe Anderson's pass in off the far post. Anderson continued to create problems in the second period and another positive break from the Brazilian should have created the winner when Noble fired over. 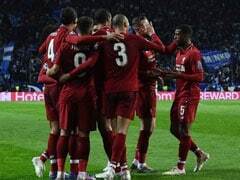 Origi replaced the ineffective Roberto Firmino 15 minutes from time and the Belgian had a huge chance to make himself a hero as he did with a last gasp Merseyside derby winner against Everton in December. This time, though, Origi shot meekly into Lukasz Fabianski's grateful arms with the final action of the match.